Rasta Model-C: coolest custom Sunday? I’ve seen a lot of great Sunday Model-C builds over the years but this has got to be one of the coolest! 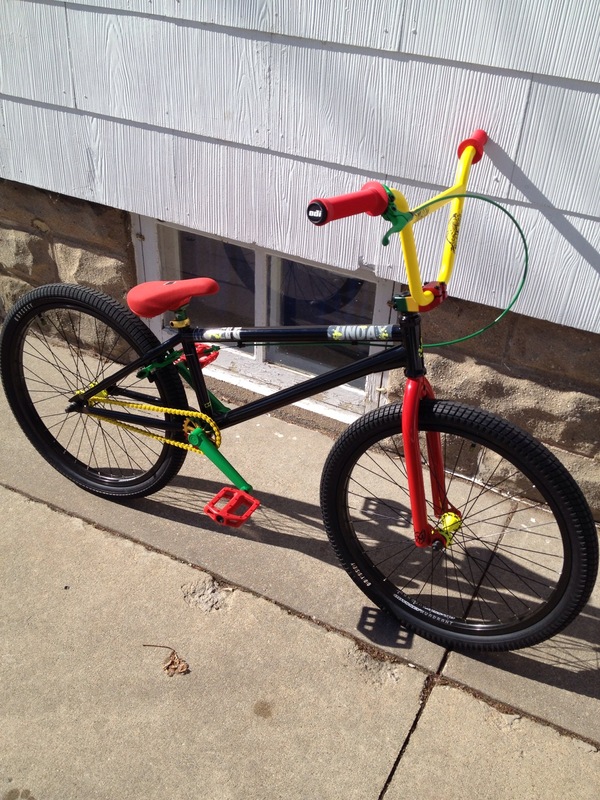 Check out Chris Ehlbeck’s custom Rasta Model-C…this whip is badass! This guy not only lives in the same small city as me, but he actually played a role in getting me back into bmx. I saw him teaching a kid to ride banks, admired the bike, and decided on the spot that I was going to get a 24 and return to bmx. What size bars are those?I’d like to get big ones they look nice.sweet bike! Hey Todd, watch for an update on this bike coming soon!